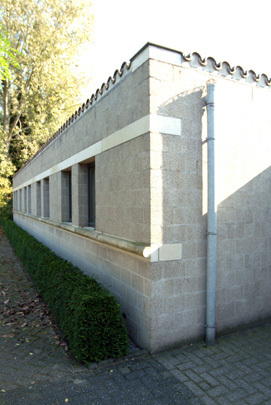 The monk-architect Van der Laan was one of the few contemporary architects to succeed in applying a meticulously described architectural theory to a built oeuvre. The basis of his theory is a series of dimensions and proportions, the 'plastic number', which brings together all building components in a harmonious, measurable sequence. The Naalden house, a subdued composition of three rectangular masses in a few similarly subdued materials ranged around a courtyard, shows that the plastic number theory can produce an architecture of great power.